161 min [ Based on a true story. ] 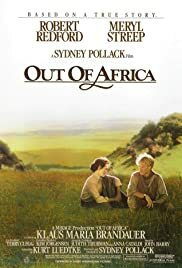 - Out of Africa tells the story of the life of Danish author Karen Blixen, who at the beginning of the 20th century moved to Africa to build a new life for herself. The film is based on the autobiographical novel by Karen Blixen from 1937.